2012 Volvo S60 T5. All power options, Heated leather seats, Bluetooth, Satellite radio, Steering wheel audio controls, Push to start. Runs and drives good, clean inside and out. Best color combo. Clean Autocheck, clean Carfax! Volvo Auto Auction is an Online Car Auction where you can find the Volvo car you need, meeting your expectations of a dream car. You probably already know what it takes to find a great deal on a new Volvo car or quality used Volvo car. So search for your Volvo auto auction online, used Volvo cars, used Volvo, Volvo SUV, Volvo for sale, Volvo used trucks, Volvo dealership, old Volvo for sale, Volvo classic and more. Buying a Volvo car at our Public Volvo Car Auction you will realize that it is the best Volvo auto auction in the nation with the best prices and easiest car buying experience. 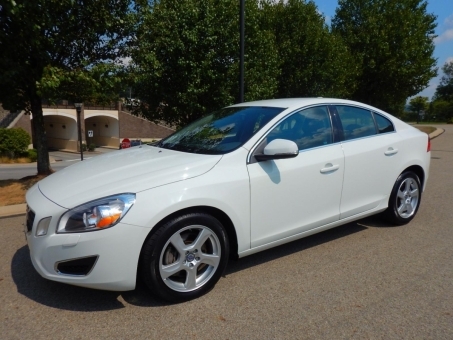 Volvo Auto Auction strives to keep our stock refreshed all the time by efficiently selling our inventory. With our inventory refreshed daily, you’ll surely find the Volvo vehicle you’ve been dreaming of. Our mission is to provide the best platform for Volvo dealers to safely transact with buyers. We have all the tools you need to improve your car sales.